and harmony, on the ground or in the saddle. Interactive for people and horses of all ages. in integrative veterinary practices and coauthors of Bodywork for Dogs — Intuitive Touch® through Massage, Acupressure and Awareness. They combine their decades of experience and a life-long kinship with animals. connection between horse and rider achieving a balanced and sensitive program for keeping horses healthy." together accurate information with balanced instruction and sensitive guidance for the animal caregiver. the health benefits for both ends of the lead shank. providing foundation for making that vision a reality in which we can all share and actively participate." — Judith M. Shoemaker, D.V.M., I.V.A.S., A.V.C.A. Featured on the Martha Stewart Living Television Show, in Natural Horse Magazine and Animal Wellness Magazine, among many others! 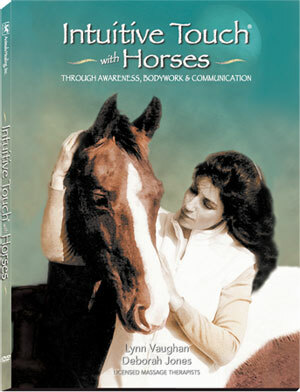 Animals Healing is a division of Animals Healing Products Inc. © 2012 All Rights Reserved.